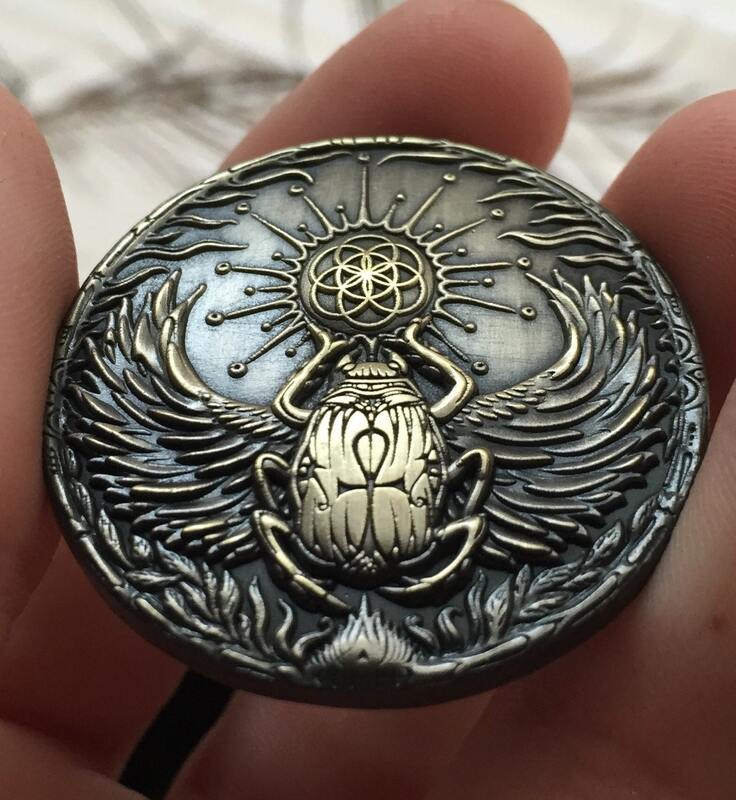 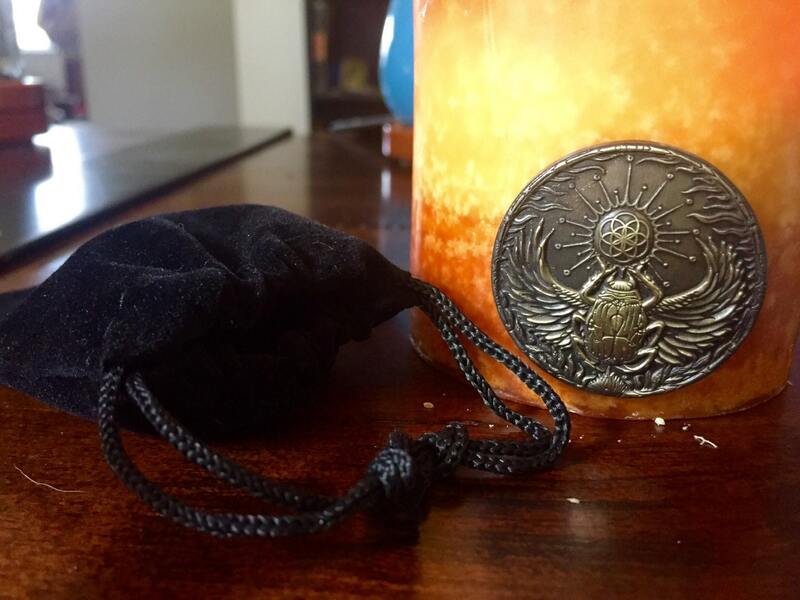 Sacred Scarab Sacred Geometry Lapel Pin, Artwork By Enlighten Artist Melanie Bodnar. 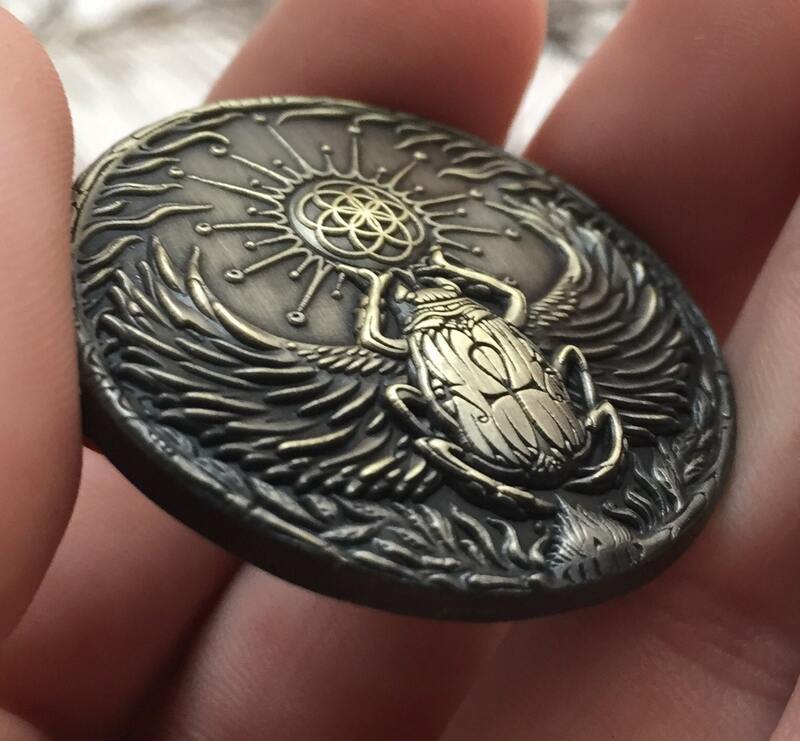 1.5 inch pin double post pin with antique gold finish. 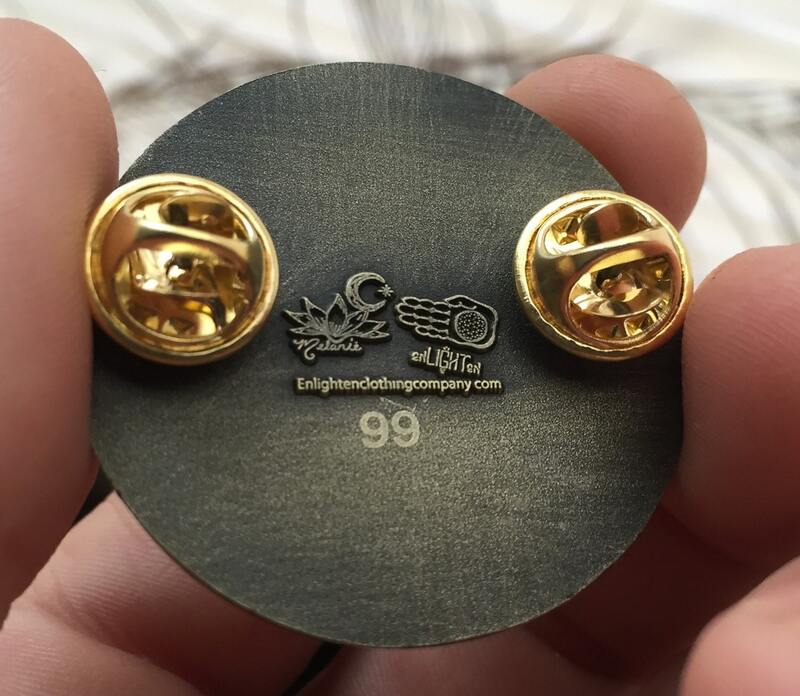 Numbered and stamped with the artists insignia. 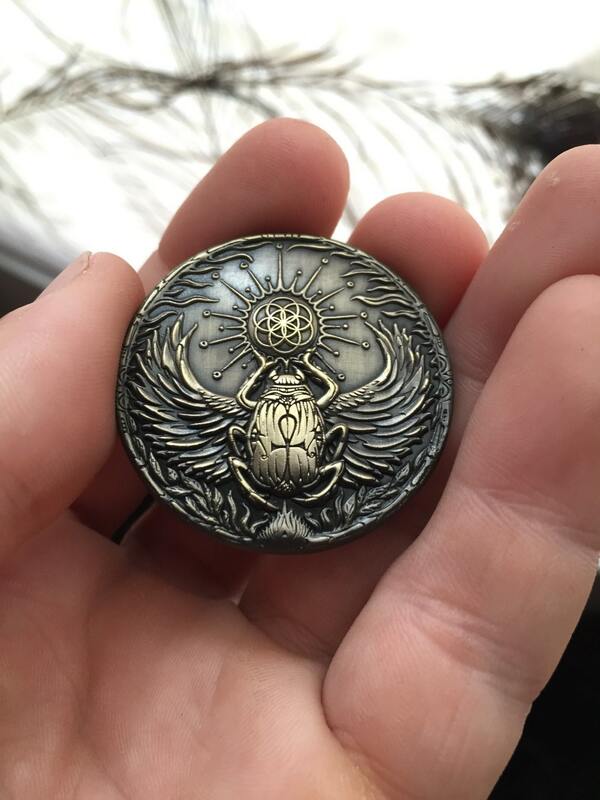 Design features a winged scarab holding a shining seed of life, with the Egyptian Ankh and eye of Horus along its back.